Every year families gather together to celebrate the Christmas season with amazing food, gift giving and totally unforgettable traditions. But, if your family doesn’t have their very own tradition yet, then we’re here to help you out! This Christmas family tradition game is based on 3 Christmas gifts and is sure to be played for years to come. For our family, aside from being food lovers who fill up the table with our favorite Christmas foods, we usually hold a short service reflecting on the birth of Christ to make the celebration extra memorable. Plus, we take loads and loads of pictures and share them between each other afterward. If you’re like me, you love to look back on memories from years past. Establishing a good Christmas family tradition game is one of the things most people look forward to each year. The gift giving game becomes part of the celebration as it brings out the creativity in all family members. A few of the most popular Christmas family tradition games are ones that include; exchange gifts, paper dance, charades and memory games. You can see a HUGE list of other Christmas games here too. There should be 3 gifts per player so it is best to check the numbers of attendees or family members who will play during the celebration. Collect simple and not so serious gifts ahead of time such as; candles, pens, mugs, refrigerator magnets or key chains. You can also include old unused gifts that are kept in your home. Gift wrap ahead of time, you can also reuse old containers and tie a ribbon on it. This will make the game easier. Let’s start playing this Christmas Family Tradition Game! Headcount the players and multiply it by 3 to ensure that there are 3 gifts per player. Take note of the gifts with the hidden valuable gifts and include them in the pile of gifts. Place the gifts under the Christmas tree. The numbers will determine the order of picking and opening of gifts. So the person who got 1 will go to the pile of gifts and pick one gift. Now here’s the fun part! Each gift can be stolen 3 times. Let’s say the person who draws #1 picks up a gift, they can look at the gift. But if the person who draws #2 wants to take the gift, he or he can steal it from you. After the steal, the person who lost his/her gift can grab another gift from the pile. Then start the process again following the number. This part is similar to the Dirty Santa game. Since no one knows where the “special gifts” are hidden, anyone can actually play an act to make their opened regular gift seem very special to entice others to steal it from them. The rule is you can peak at the gift but not totally open it until everyone has 3 gifts of their own. Once everyone has stolen or completed 3 gifts, then it’s time to open them and take a look if what you stole from someone is really a special gift or just a regular one. This is a perfect time to take a video to watch the surprised and laughing reactions of everyone! Put a twist on it! 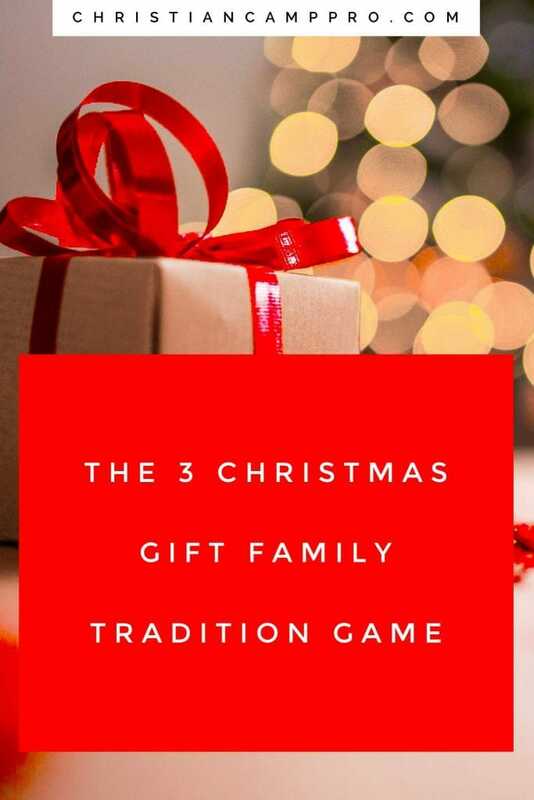 This is a very simple yet exciting Christmas family tradition game which you can easily tweak to make it even more fun and exciting. Check out the following tips and ideas to put some kazaam on this game. Use this game to dispose of unused gifts in your home. Include memorable items to add a sentimental element. Be funny by including weird food, novelty toys and candies in the regular gifts. You can adjust the number of gifts from 3 to 5 or fewer too. Maybe 1 gift per person and 1 special gift mixed in. Every year the game will get bigger and bigger with family members trying to come up with funny or special gifts to use. Any Christmas family tradition game you choose will only be as good as the joy it creates by bringing people together. Always remember that the relationship between each other is more vital than the Christmas gifts. Being together to bond is what’s important more than anything else. Also, do not forget that in celebration of the Christmas season, we should primarily give attention to the reason why we’re celebrating, and that is the birth of Jesus Christ.